The "coat" of the last season, and perfect and comfy for this one as well. 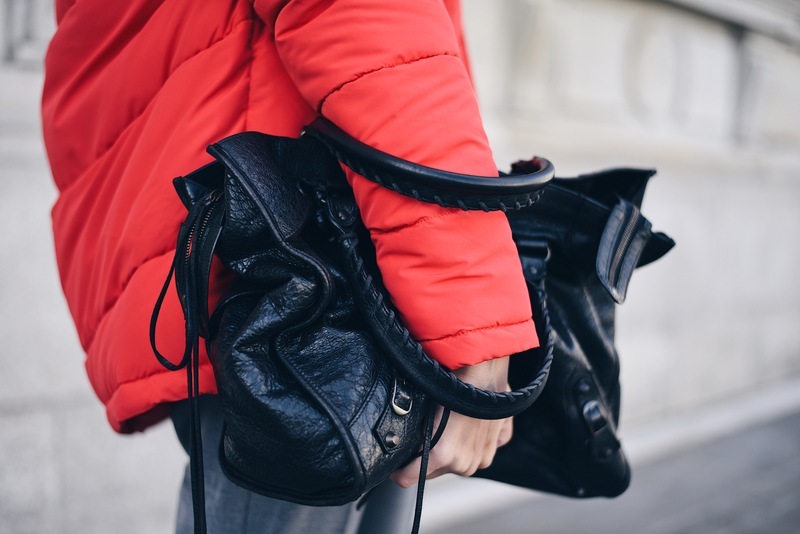 Are you ready for the cold weather?? Yes I am!!! 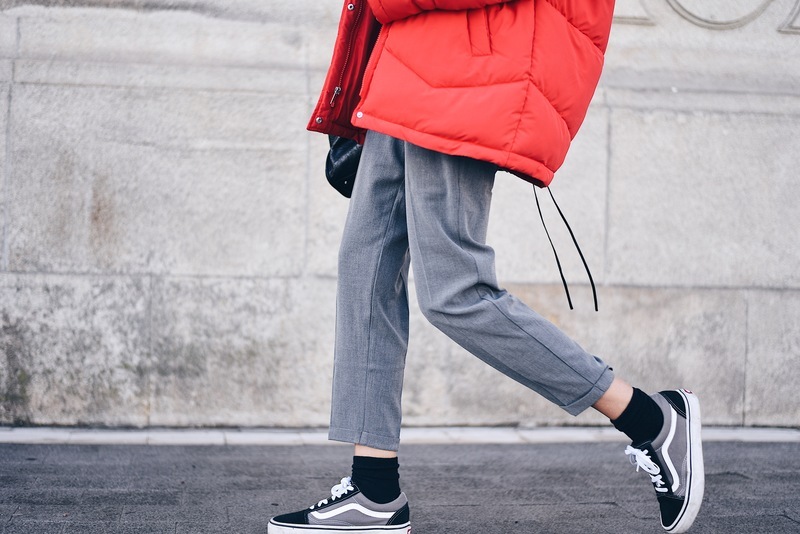 Love this outfit so much that I will immediately copy it! 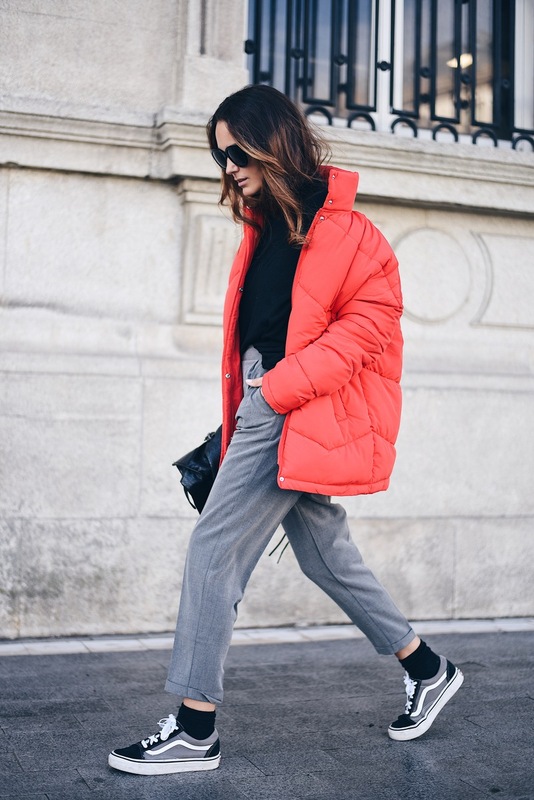 Me parece ideal el toque de rojo con un look en tonos neutros. 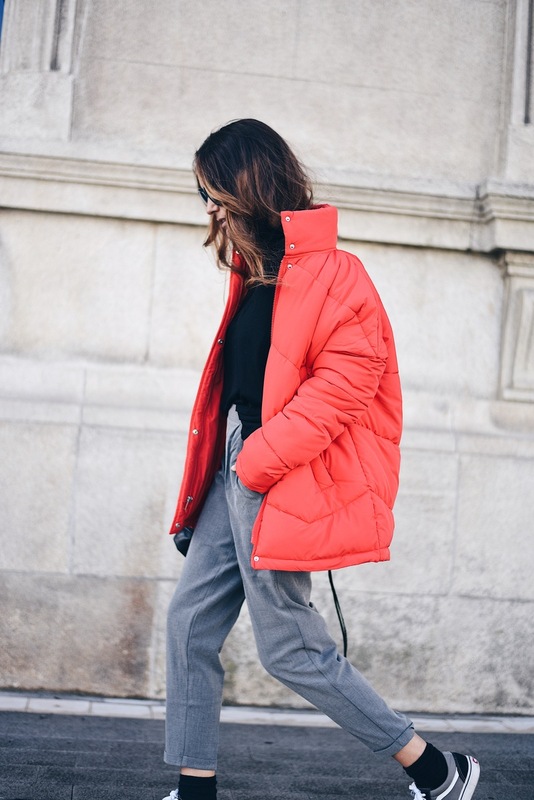 Me encanta el look con el plumífero!! 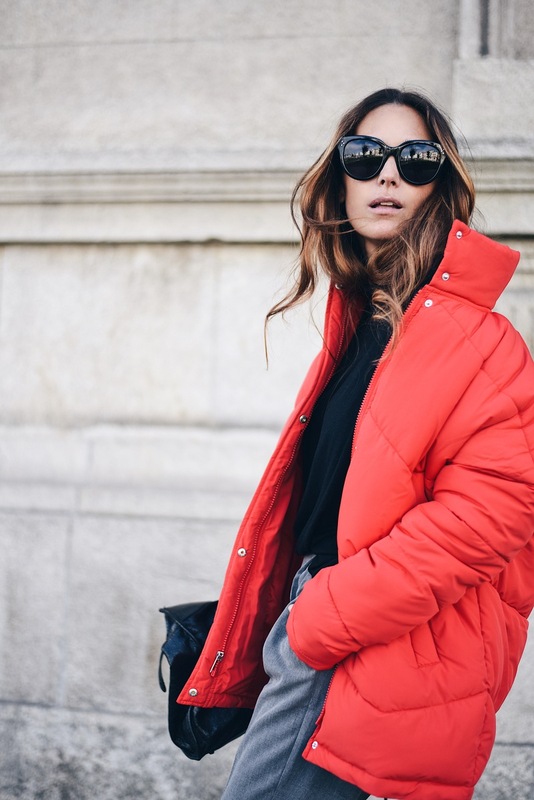 Wow love the black&white look with the red red puffer!